Vertebroplasty and kyphoplasty are minimally invasive procedures that are performed in order to treat vertebral compression fractures. These types of fractures refer to the deterioration or collapse of spinal vertebrae and may develop in individuals with osteoporosis due to brittle bones, as the result of a traumatic injury, or from bone cancer metastasis. 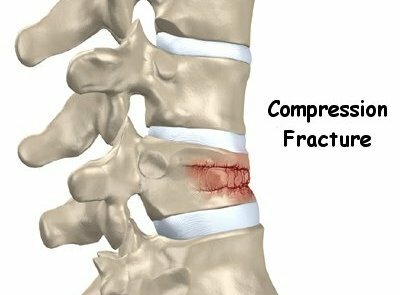 Symptoms of compression fractures include chronic pain, excessive curving of the spine, and decreased mobility. When treatment methods such as the administration of anesthetics, bed rest, or back braces are utilized, vertebral compression fractures may take a significantly long time to heal, and when improvement is not observed, vertebroplasty and kyphoplasty are often recommended. How Are Vertebroplasty and Kyphoplasty Performed? With vertebroplasty, a patient lies on the stomach and has a needled inserted through the skin and affected vertebrae. 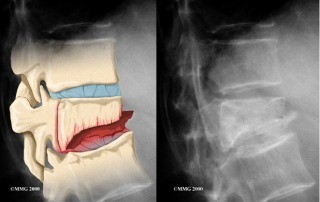 An imaging technique such as x-ray imaging or fluoroscopy is used during the placement of the needle to ensure that it is inserted at the right location. Cement is then injected into the spinal vertebrae. This helps restore the length of the spinal column and straightens excessive spinal curving. There is a slight risk of cement leakage with this procedure, but the occurrence is minimal. Kyphoplasty is performed in the same way, but entails inserting an inflatable balloon as opposed to cement. This procedure may involve a bipedicular method, where two balloons are utilized, or a unipedicular method that involves one balloon. The unipedicular approach to kyphoplasty is becoming more popular as it avoids the risk of cement leakage, lowers radiation exposure from the imaging equipment, and reduces the operating time. There are a few additional risks associated with these procedures. Patients who undergo vertebroplasty may experience a higher incidence of anemia as a result of temporary bleeding after the procedure as well as a higher incidence of blood clotting in the veins. In some cases, kyphoplasty may increase the risk of cardiac complications, but this is usually observed in older individuals suffering from several health conditions. Therefore, vertebroplasty is performed more often than kyphoplasty on patients with other health conditions. However, as the risk of cardiac complications is generally low, kyphoplasty is the preferred method of the two due to lower complication rates as well as a shorter length of stay in the hospital. Some patients only need to stay in the hospital overnight after the procedure is performed, while others may be allowed to return home the same day. 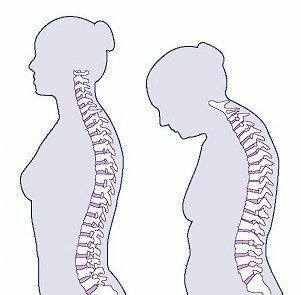 Osteoporosis is a condition in which decreased bone mass reduces the ability of bones to accommodate the body’s weight. When this occurs, the risk of developing vertebral compression fractures increases and the presence of a fracture is accompanied by serious back pain, deformities, decreased quality of life, and even increased mortality rates. Bone cancer metastasis leads to lesions along the spinal vertebrae, which also increases the incidence of compression fractures. Similarly, the impact of blunt trauma may cause injuries to spinal vertebrae that can lead to fractures. Although vertebral compression fractures may develop in different ways, the manner in which vertebroplasty and kyphoplasty are used to treat fractures that arise from these conditions is same. The method of choice is dependent upon factors such as whether the patient has other existing health conditions, the severity of the fractures, and the patient’s preference based on the possible risks. Vertebroplasty generally provides significantly more pain relief for patients who have previously been treated with conventional treatment methods without success. Furthermore, this procedure has been shown to enhance the healing and repair of vertebral compression fractures for longer periods of time than when kyphoplasty is used as a treatment method. When kyphoplasty is performed in order to treat verterbral compression fractures, it leads to a rapid reduction of chronic pain, accelerated recovery periods, and even helps restore vertebral length. Most patients also report an increase in quality of life and mobility. Whether or not one balloon will be used is dependent on the individual case and the desired lengthening of the affected vertebrae. In regard to both procedures, patients often experience significant pain relief and enhanced mobility as early as 48 hours after treatment. Some patients feel relief much sooner and many are able to return to fully activity after being treated. Vertebroplasty and kyphoplasty are procedures that are commonly used to treat vertebral compression fractures. Conditions that typically cause vertebral compression fractures are osteoporosis, bone cancer metastasis, and injuries sustained from trauma. Risks associated with these procedures include temporary bleeding and blood clots from vertebroplasty and cardiac complications from kyphoplasty. However, the occurrence of these complications is minimal. The procedures are brief and often only require a patient to be hospitalized overnight; some patients are allowed to return home on the same day as the treatment. Furthermore, patients may experience pain relief shortly after the procedure or within the first 48 hours and the effects are generally long-term.